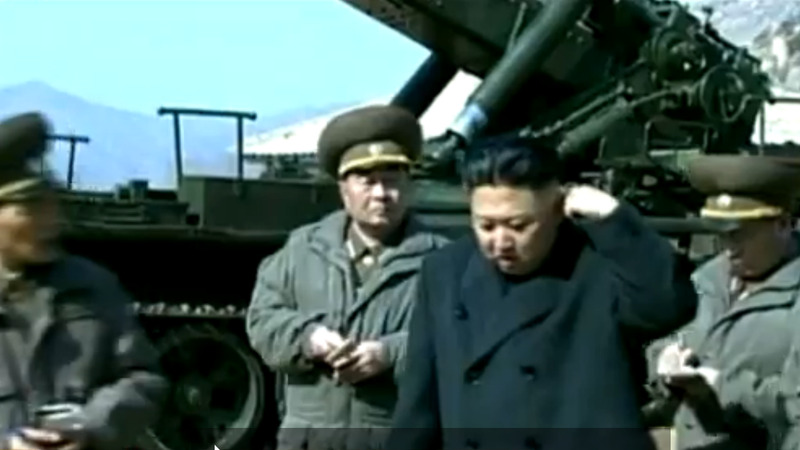 In the midst of this news video is a short video clip showing the Kim jong-un speaking with some of his generals. This video was released, of course, by the North Korean government. When making threats of nuclear war they should strongly reconsider whoever performs the vetting of their video though - for the young tyrant displayed deceptive and anxiety ridden body language. And such does not good propaganda make. During the 0:41 - 0:43 segment of this video, Kim jong-un is shown scratching his left ear with his left hand while he is speaking. Making a declarative statement or answering a question with an accompanying ear rub, touch or scratch (a body language example of a Manipulator, Adaptor or Pacifier - aka MAP) is highly indicative of a lie. Moreover this bearer of ballistic missiles has his head, neck and eyes directed downwards as he displays this self-touching display. These nonverbals when clustered simultaneously - are a lock for lying. "The lady doth protests too much ... methinks."